When going on a weight loss plan you probably heard that avoiding starchy foods (i.e. carbs) is key to losing weight. While this could be true for the beginers who cut on refined carbs and calories in general the more weight you lose the harder it becomes to shed more weight. Here is where all the diet tips and tricks come into play and become all the more tricky. Can Resistant Starch Aid in Weight Loss? Since most of carbs are starches that are more easily convert into glucose and fat in our bodies it is logical that we should avoid them right? Well, nothing is that simple, or we’d all be slim and fit without much proble. Cutting carbs can be stressful as they provide quick boost of energy, help regulate mood, and are simply our bodies’ preferred source of fuel. But that’s a bit different topic. What we’re talking about is a type of starch that is resistant to digestion. It simply travels through the GI tract untouched and kind of goes out. Resistant starch has shown to provide such benefits as improved insulin sensitivity, satiety, better digestion, decreased bad cholesterol levels, and more. But what’s more important to weight loss is that it may help burn fat through fat oxidation (the process of breaking down fat). Dzing! Similar to fiber resistant starch simply isn’t digestable but it adds bulk to food, which makes you feel more full without packing much calories. There are four types of resistant starches. 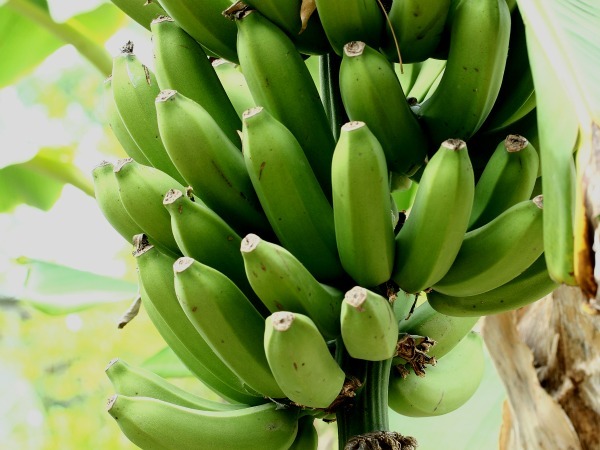 There is one that comes from legumes and grains as well as seeds, the one that is found in green bananas and raw potatoes (quick tip: leave your potatoes or rice to cool before eating them as starches in these foods turn resistant after cooling), and the fourth type is a synthetized resistant starch. What does this mean to you? You can eat white potatoes. Yay. But try to take it all into perspective too. French fries are still bad since you most probably eat them cold alone and it even if you do it probably won’t matter anyway since they were fried in obsene amount of fat, which will make its way into your body. Cold potato salad? Great. Rememeber the golden rule of moderation. This entry was posted in News and tagged diet, healthy foods. Bookmark the permalink.